Salmonella is a major zoonotic foodborne pathogen causing gastric illness worldwide. Salmonella Typhimurium infection in laying hens and in eggs or egg product is a major concern for the egg industry. Salmonella Typhimurium is the most frequently reported serovar in egg related food poisoning outbreaks in Australia (The OzFoodNet Working Group, 2013). This experiment was conducted to study the prolong shedding of Salmonella Typhimurium DT 9 in laying hens after infection. The influence of co-infection with S. Mbandaka on shedding of S. Typhimurium DT 9 was also investigated. Birds were raised from day old in Salmonella free environment by maintaining strict biosecurity standards. 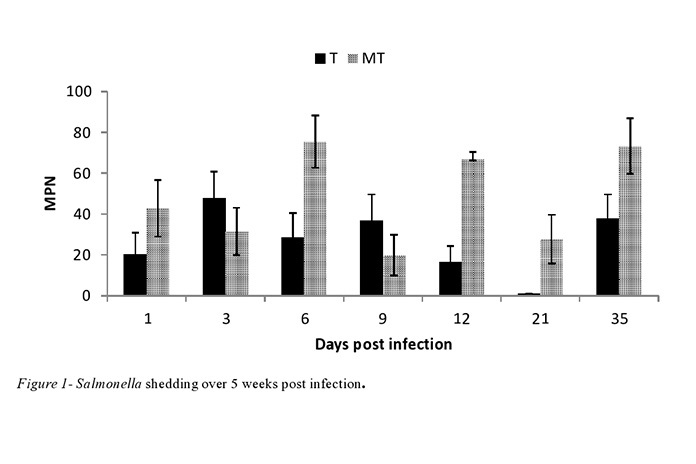 Salmonella shedding was detected until 5 weeks post infection. 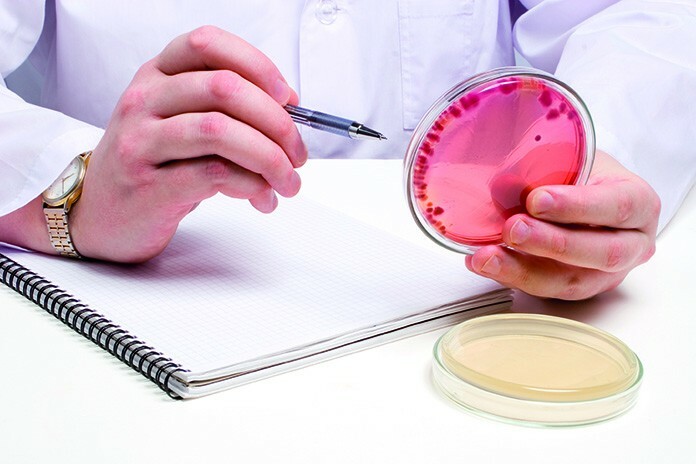 It has been studied that Salmonella serovars such as Enteritidis has the capacity to contaminate developing eggs within the oviduct; however the vertical transmission ability of Australian S. Typhimurium strains has not been investigated. Older birds are also considerably more resistant to Salmonella than are young chicks. Shedding of Salmonella in chicken faeces can be intermittent and may continue for many months. 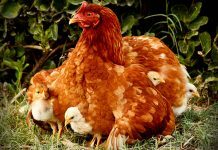 Salmonella infection has been studied in laying hens, however low level of Salmonella colonization in adult birds has been reported. 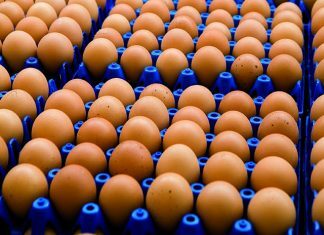 In Australia egg product related cases of food borne poisoning are associated with S. Typhimurium definitive type (DT) 9. Persistence of S. Typhimurium DT 9 in the poultry shed environment could cause eggshell contamination. The objective of this study was to study the prolong shedding of S. Typhimurium DT 9 in laying hens after infection. The influence of co infection with S. Mbandaka on shedding of S. Typhimurium DT 9 was also investigated. 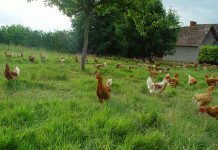 Fertile eggs were obtained from commercial Hy-Line brown layer parent flocks. Eggs were fumigated and incubated in the lab over the period of 21 days at 100.4 °F with relative humidity of 45-55 % up to day 18 and then 55-65% up to hatching. The chicks (n=32) were hatched at day 21 and housed in positive pressure rooms at Roseworthy campus, at the University of Adelaide. These rooms were previously decontaminated twice with F10 and then fumigated with formaldehyde. All animal pens, cages, trays, feeders, equipment, floor and walls of the rooms were extensively cleaned with FoamCleanS (Chemtel, Australia) followed by a wash in SaniGuard (Chemtel, Australia). Waterlines were washed using acid solution. All equipment was then moved into each of two rooms and then rooms were again fumigated with SaniGuard (Chemtel, Australia). Feed was sterilised by either gamma irradiation by SteriTech or by fumigation with formaldehyde. Water was sterilised by the addition of water purification tablets (Aquatabs, Irelands). Salmonella positive or negative status of the birds was monitored by testing faecal, water and feed samples at fortnightly interval before Salmonella challenge. All samples were processed for Salmonella isolation by culture method as described previously. 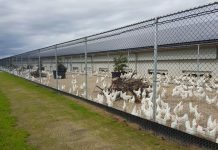 All birds were raised in pens up to week 10. At week 10, birds were divided in three groups and transferred in to cages in three different rooms. At week 14, First group (T) received 109 CFU of S. Typhimurium DT 9, second group (MT) received 109 CFU of S. Mbandaka and S. Typhimurium DT 9 and control group (C) received sterile broth. Faecal samples were collected at day 0, 1, 3, 6, 9 and 12 days post infection (p.i.) and then followed by weeks 3 and 5 p.i. Faecal samples were processed for enumeration of Salmonella by three tube most probable number (MPN) method as described by Pavic et al. (2010). The susceptible Salmonella colonies were streaked onto Xylose lysine deoxycholate agar (Oxoid, Australia) or Salmonella brilliance agar (Oxoid, Australia). MPN data was analysed by ANOVA. Over the experimental period, workers used sterilised overalls, head-covers, shoe covers, masks, and gloves while working with the chickens.